Induced pluripotent stem (iPS) cells are slated to enter a clinical study in Japan for the treatment of age-related macular degeneration. Massayo Takahashi, an opthamologist at RIKEN Center for Developmental Biology and leader of this project, plans to treat six patients who suffer from this degenerative eye disease that commonly leads to blindness. Takahashi and her team will derive iPS cells from the participants’ skin samples and generate replacement retinal cells for transplantation into the retina. While safety concerns linger and some scientists harbor reservations on efficacy, Japan’s regulatory scheme will likely enable the study to move forward. 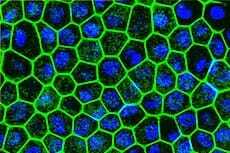 If this iPS cell therapy proves safe and effective, it could enter formal clinical trials and treat patients in the clinic soon.